The last time a GB Football Team attended the Paralympic Games was Barcelona 1992, but for Beijing 2008 it's all systems go as both the Blind Squad and the Cerebral Palsy Squad secured a place at the prestigious event. Leading sports equipment manufacturer Harrod UK Ltd was the natural choice to supply special size 5-a-side and 7-a-side football goals for use by the GB Disability Football Team in Beijing. Sales & Marketing Manager Kevin Utton was delighted to be contacted by Jeff Davis, National Manager for Disability Football, and believes the Beijing games will be an exciting time, commenting "We are pleased to have been able to help with Jeff's request for special size goals; our skilled team and 120,000 square foot manufacturing space means that we are able to accommodate requests such as this in the timeframe required for shipping to China and we are proud to be involved in what we hope will be a very successful time for the GB teams". 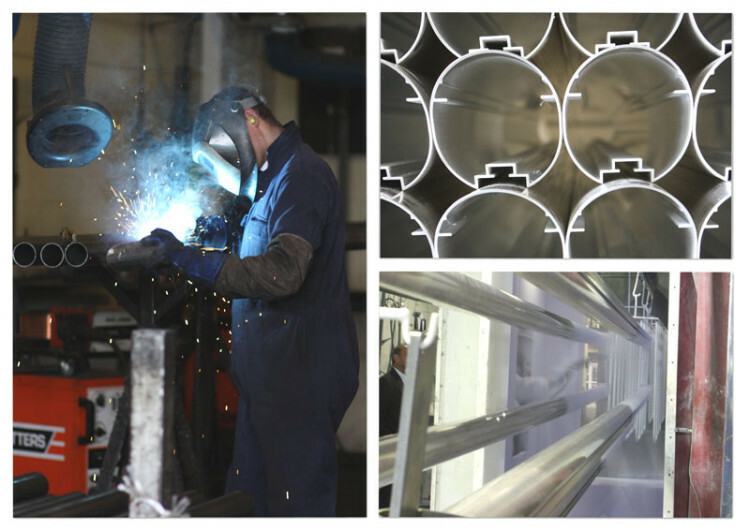 Image: Goalposts being manufactured at Harrod UK's Lowestoft factory.